268 pages | 58 B/W Illus. Just as the sinking of the Titanic is embedded in the public consciousness in the English-speaking world, so the crash of JAL flight JL123 is part of the Japanese collective memory. The 1985 crash involved the largest loss of life for any single air crash in the world. 520 people, many of whom had been returning to their ancestral home for the Obon religious festival, were killed; there were only four survivors. This book tells the story of the crash, discusses the many controversial issues surrounding it, and considers why it has come to have such importance for many Japanese. It shows how the Japanese responded to the disaster: trying to comprehend how a faulty repair may have caused the crash, and the fact that rescue services took such a long time to reach the remote crash site; how the bereaved dealt with their loss; how the media in Japan and in the wider world reported the disaster; and how the disaster is remembered and commemorated. 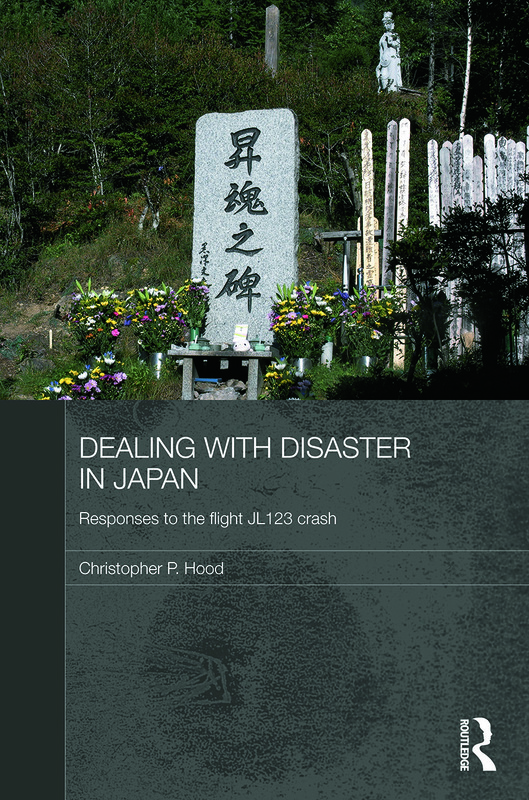 The book highlights the media coverage of anniversary events and the Japanese books and films about the crash; the very particular memorialization process in Japan, alongside Japanese attitudes to death and religion; it points out in what ways this crash both reflects typical Japanese behaviour and in what ways the crash is unique. Christopher P. Hood is a Reader in Japanese Studies at Cardiff University, UK. His publications include Shinkansen: From Bullet Train to Symbol of Modern Japan, (2006), Japanese Education Reform: Nakasone’s Legacy (2001) and (as editor) the four volume Politics of Modern Japan (all published by Routledge).